Unfortunately there is no way to make legal stuff sound nice and friendly, so please keep that in mind while reading the terms and conditions. With the fee of the Read and Review Program (R&R Program), the author is purchasing advertising space in the YourNewBooks.com newsletter and on the website, www.yournewbooks.com. The author is not purchasing reviews as that would be against Amazon’s policy. Reviews are not guaranteed and can not be guaranteed. 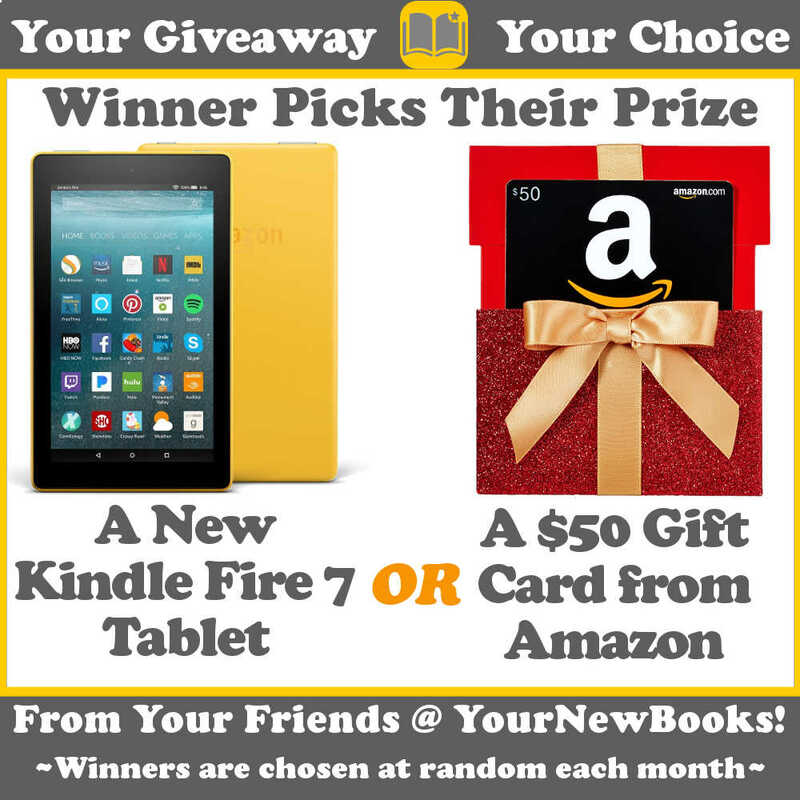 Readers are not employed by YourNewBooks.com and receive no compensation. Authors will receive the names and email addresses of all interested readers who have signed up for their book. Authors are welcome to add these interested readers to their mailing list. The readers know to expect to be added to the list and are aware that they can unsubscribe at any time if they wish to no longer receive updates from the author. The author is welcome to contact interested readers regarding additional books. YourNewBooks.com will follow up with readers twice to remind them to leave a review. Not all readers will review. Authors are encouraged to follow up with one or two personal, gentle reminders as well. Based on past experience, about 40-60% of interested readers who sign up for a book are likely to leave a review. Reviews can be anything from 5 stars to 1 star, as readers are asked to leave an honest review. Amazon reserves the right to reject any review. There will be no refunds or compensation in case reviews are rejected. The book will stay in the Read & Review Program for 9 months, starting with the date of the first feature in the newsletter. Some books may not receive the requested number of readers within these 9 months. In that case, the author will receive a free Book Boost feature as compensation and the book will be removed from the R&R Program. Authors who have signed up for a Premium R&R feature would receive a Premium Book Boost feature as compensation. Authors who have signed up for a Guaranteed R&R feature would receive a Standard Book Boost feature as compensation. Monetary refunds will not be issued once the book has been advertised by YourNewBooks.com, as paid R&R fees by the author compensate YourNewBooks.com for providing advertising space in the newsletter and on the website as well as time spent communicating with readers and authors. This remains true even if not enough interested readers requested the book. There will be no book substitutions. For example, in case the book enrolled in the R&R program does not gather interested readers as quickly as hoped, it is not permissible to replace the book with another book. Readers may contact you, the author, at the email address you used to sign up for the R&R Program if they have any questions or feedback, so please be sure to enter the email address you’d want them to use to contact you. Readers may receive your email address from YourNewBooks.com, so that they have a way to contact you, the author. YourNewBooks.com will distribute the PDF and/or MOBI files to the interested readers who specifically signed up for the author’s book. Readers are not allowed to share the file with anyone else and will be banned from the R&R Program if they do. YourNewBooks.com and/or any of its owners can not be held liable for whatever happens to the file(s) distributed within the Read & Review Program. The author assumes any and all risks. If an author does not agree to this stipulation, he/she is not authorized to use the Read & Review Program. YourNewBooks.com’s liability for any kind of damages will never exceed $100. You agree to this stipulation when using any YourNewBooks.com service. Authors need to be courteous with readers at all times. Violation may result in termination of enrollment. YourNewBooks.com reserves the right to reject any book and not include it in the R&R Program. We make no claims regarding books that are in Amazon’s KDP Program. It is up to the author to follow any Amazon requirements he/she has agreed to. In the event that the Read & Review Program ceases to exist, there would be no financial compensation or refunds. In lieu of a refund, an author may choose to receive Premium and Guaranteed Features or Book Boosts for any of their books adding up to the value of the Read & Review package he/she originally purchased. YourNewBooks.com’s Terms and Conditions (these conditions and all others on our site) will be updated from time to time. Whenever terms and conditions are updated, the new terms supercede the old terms. If you do not agree to the new terms, your only recourse is to not use our services. If at that point you have already signed up for our services but have not used them yet, you may ask for a refund.